Not your stereotypical Maria Clara. Have you ever heard of Agueda Kahabagan, Lourdes Evangelista-Castro, Trinidad Tecson, or Teresa Magbanua? No? That’s probably because our textbooks never honored them the way they did Lapu-Lapu or Andres Bonifacio. But the best thing about Amazing Facts and Figures Every Pinoy Must Know is the fact that we’re finally recognizing some of the most iconic women of Filipino history. Referred to as Henerala Agueda, she was the first and only woman general in the armed forces of the Katipunan. Agueda was officially given the title “general” on January 4, 1899. With a rifle in one hand and a bolo in the other, she guided troops of men and fought valiantly against the Spanish and American forces. She was one of only two Pinay WWII U.S. veterans. When she was only 18, she was inducted into the U.S Army for her heroic acts. Lourdes fought for the welfare of Pinoy fighters, risked her life to pull out wounded soldiers from the battlefields, and helped free prisoners of war from a concentration camp in Los Baños. Like Agueda and Trinidad, Teresa was also a member of the Katipunan. She sold all her properties to help finance the guerrilla forces. Though she never officially became a “general,” the men she led through war often referred to her as one. 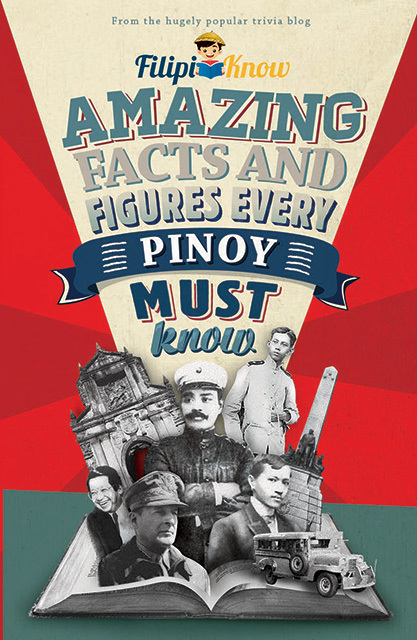 Amazing Facts and Figures Every Pinoy Must Know is out now in bookstores, newsstands, supermarkets, and convenience stores nationwide for P275.